Do you remember about GSC’s collaboration with Tamiya a few months ago? 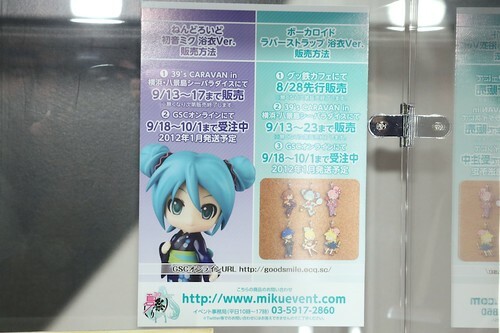 Well, today Mikatan posted a preview of one Nendoroid Petite (out of three) involved in the collaboration project. 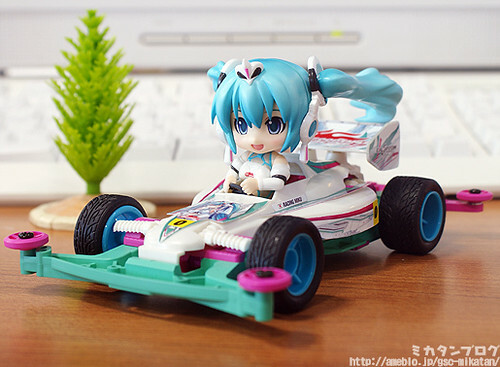 Nendoroid Petite x Mini 4WD Racing Miku 2012 version drives Astute Special – wow, that’s a pretty long product name XD – will bring along a Mini 4WD (Astute Open Top) from Tamiya. A sticker sheet will also be included, so you can choose any stickers you like to be applied on the mini 4WD. This Nendoroid Petite set will be on sale starting tomorrow in several stores in Japan. 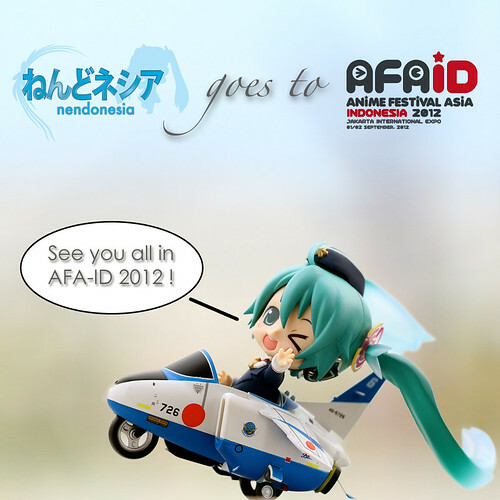 Note: Tomorrow is Hatsune Miku‘s birthday anniversary. 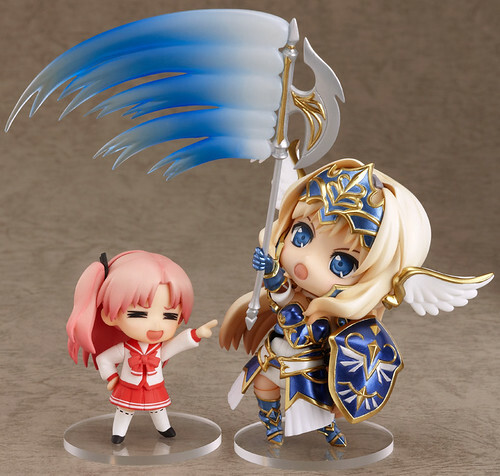 Following Mikatan’s mention on her preview post, Nendoroid Kusugawa Sasara: Valkyrie version and Nendoroid Petite Maryan from AQUAPAZZA is indeed available for pre-order starting today, as the Nendoroid set gets its own official page on GSC today. 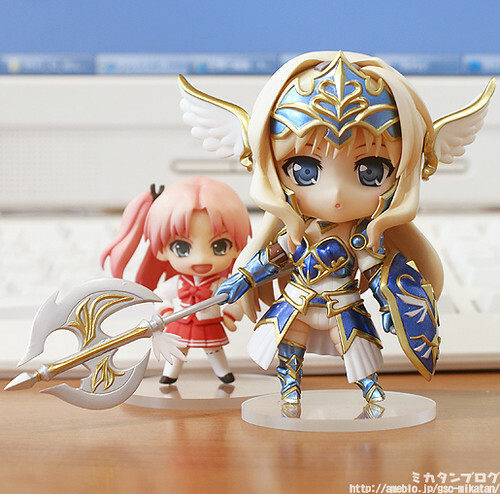 From the 2D fighting game on the PS3, ‘AQUAPAZZA’ comes a Nendoroid of Sasara Kusugawa wearing the gorgeous Valkyrie armor from ToHeart2 Dungeon Travelers! Her huge halberd and shield are both included to wield into battle, and she also comes with effect parts to pose her swinging the halberd. Sasara-san and Maryan-senpai are scheduled for December release with a price tag of 4200 Yen. Well, thanks to the latest hobby magazine scan, we have already known the stuff that Nendoroid Kusugawa Sasara: Valkyrie version (from PS3 game AQUAPAZZA) is going to bring. 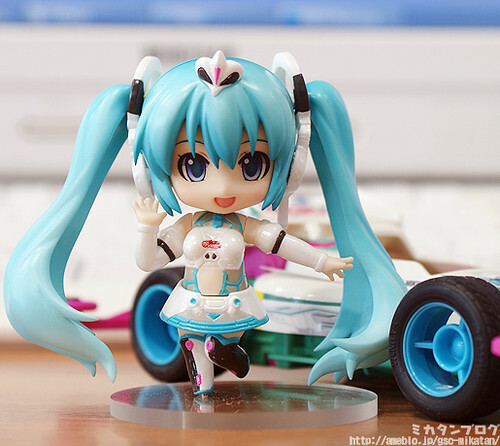 That said, Mikatan’s preview never fails to amuse us with its close-up pics and even more tidbits about the figurine, as in the case of this adorable Nendoroid. Anyway, kindly visit Mikatan’s blog for more pics and info about Nendoroid Kusugawa Sasara: Valkyrie version. Nendoroid Petite Charlotte has been around for a while, but it is only now that she is announced officially as she is available for pre-order starting yesterday, under the name Nendoroid Petite: Puella Magi Madoka Magica – Extension Set 01. 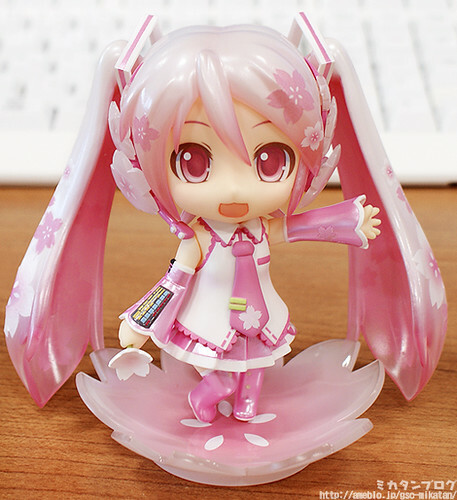 Includes a limited edition Madoka Magica Online item code! From the hit anime ‘Puella Magi Madoka Magica’ comes a set of two Nendoroid Petites as an extension set to add to the original Madoka Nendoroid Petites! This first extension set features the ‘Dessert Witch’ Charlotte in both its cuter first form and second form. 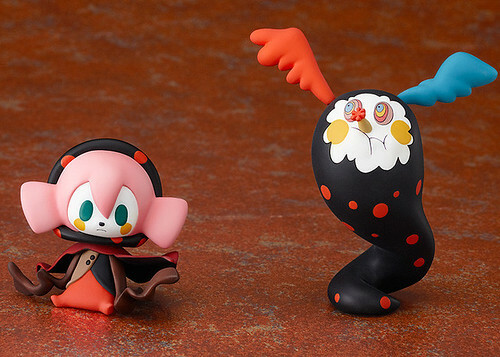 The set also includes a code that will allow you to unlock two limited items in the Puella Magi Madoka Magica Online game – the ‘Dessert Witch’s Hat’ and ‘Dessert Witch Doll’. There is no other way to get hold of these two items in game, so don’t miss out! Danny Choo has posted a batch of photos from the upcoming Nendoroid Suenaga Mirai. 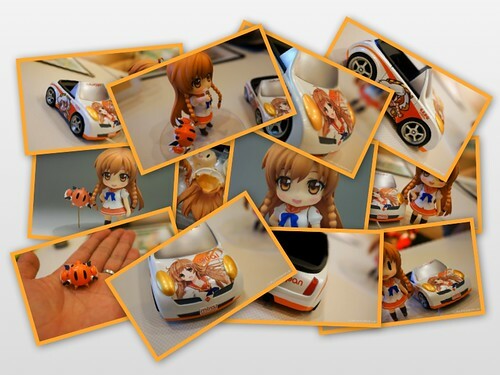 These new photos show a lot of close-up photos on the parts and accessories that is going to come along with Mirai. As we have known, Nendoroid Suenaga Mirai will come with three expression: one standard face based on the Shirahane Nao’s illustration as well as two smiling expressions based on Moekana illustration by Ikkyuu.